We’ve all been there: you’re cutting up some delicious, fresh fruit and your dog comes running as soon as they hear the knife chops. They plop down at your feet and look up lovingly into your eyes praying that you drop something. 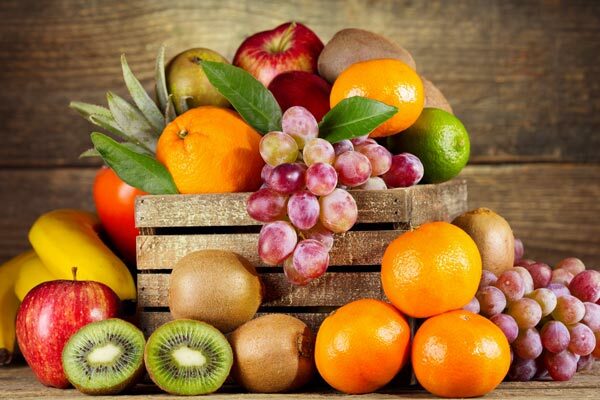 Fruits and vegetables are packed with vitamins, minerals, fiber, and hydrating water. Humans thrive on eating a diet packed with fruits and vegetables, but most people don’t meet the daily recommended values. While you should definitely enjoy more produce, you have to be cautious about what you share with your four-legged friend. Keeping track of which fruits and vegetables your dog can safely enjoy can make even the most experienced pet owner go cross-eyed. This article will take you through all the common FAQs about feeding your dogs produce so that you don’t have to sift through tons of information online. Which Fruits And Vegetables Are Not Safe For My Dog To Eat? Now that we have a simple guide of which foods to avoid, let’s figure out why they are dangerous to dogs. This food isn’t poisonous to dogs, but there is no nutritional benefit to them. Since asparagus is so thick and stalky, your dog could have a tough time digesting it wholly. This is especially important to note if your dog has a sensitive tummy. While you don’t need to panic if your dog gets at some asparagus that fell on the floor while you were cooking dinner, you should opt to give them something more beneficial to their health. Avocado contains a compound called persin that is safe for most humans to eat but can really hurt your dog. If your dog eats some, they may have trouble breathing, vomit, or have diarrhea. While the flesh of these fruits is okay, the pit is what’s poisonous to dogs and humans alike thanks to the cyanide found inside. If your dog swallows a pit, the situation is serious enough to cause respiratory failure. These foods are one of the most deadly to feed your dog. Did you know that just 4 grapes are enough to make a 20-pound dog go into kidney failure? If your dog snags a grape off the floor, monitor them to watch for vomiting, diarrhea, or an inability to walk straight. If you suspect your dog is poisoned, don’t hesitate to seek medical attention. There are thousands of different mushrooms and most of them are toxic to dogs. While your dog is likely okay to chomp on some washed mushrooms from the grocery store, it’s best to be cautious and avoid mushrooms altogether. These foods, even in their powdered form, attack your dog’s blood cells. Just consuming a measly teaspoon can cause kidney failure or anemia. The green parts of a tomato plant are deadly to dogs. Unripe tomatoes can also cause severe stomach problems for your pup. 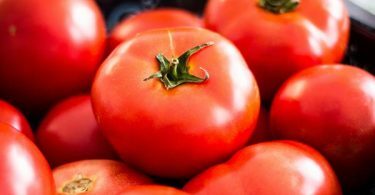 Although a ripe red tomato is unlikely to cause harm to your dog, only stick to giving them a tiny piece of the fleshy part of the tomato. Raw potatoes are poisonous to both humans and dogs! After you cook the potato, it’s okay to give your dog a little piece. Rhubarb leeches the calcium out of your dog’s system and attacks their organs, which is definitely not good for their wellbeing! It’s easy to protect your dog from food while they’re inside with you. All you have to do is put on a brave face and tell them no when they flash you those charming puppy eyes. Dogs are like toddlers who don’t know any better and will eat themselves sick if given the chance! 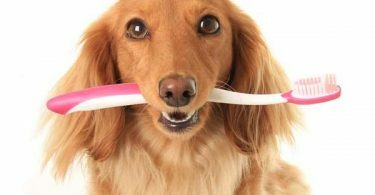 What pet owners may not stop to think about is what your pet is doing when they’re not under close inspection. If you let your dog outside to roam or if you multitask when you take them for walks by chatting on the phone or listening to music, you always need to keep your eyes on them. Now that it’s summertime, there are lots of plants in bloom, including wild fruits and vegetables. Dogs have a keen nose that can hone in on where food is. Remember that treats are used during training because dogs are very food motivated. If they happen upon some wild plants, they will seize this unexpected delight even if it’s poisonous to them. If you’re still unconvinced that your dog enjoys some greens right out of the ground, check out this article by The Spruce that delves into other plants your dog may eat outside that are poisonous. So, the solution to this problem is to never let your dogs eat any unknown plants when they’re out on walks and to make sure that your dogs don’t have access to any tempting plants where they play. The happiest dogs get plenty of time to play and explore outside but make sure they’re in a gated area or take the time to inspect the territory that’s open to them so that they can’t forage through someone’s garden. Which Fruits And Vegetables Are The Healthiest For My Dog? Now that you know the don’ts, it’s time to read about the good news. Fresh fruits and vegetables can be wonderful for your dog if you give them the right kind. Why Are Those Fruits And Vegetables The Healthiest? There are lots of fruits and vegetables that are safe for your dog but giving them the absolute best is always ideal. Here’s the science behind why those 8 foods are the best. Cooked sweet potatoes are one of the healthiest foods for humans and dogs because they are so nutrient-dense. Fiber, beta-carotene, vitamin A, vitamin C, vitamin E, B-vitamins, calcium, iron, and potassium will keep you and your dog healthy and energetic to enjoy your playtime together. Green beans are also packed full of nutrients, but they also clock in at fewer calories than sweet potatoes. Green beans are a wonderful option to keep your dog full if you’re trying to help them lose some weight. Raw carrots are another low-calorie option full of fiber, vitamin A, vitamin C, and vitamin K. Chewing on them keeps your dog’s gums healthy and clean. They also contribute to good skin and eye health! Be sure to chop the carrots up to prevent your dog from swallowing big chunks that they can’t properly digest. As long as you prevent them from eating the seeds, apples are a delightful, nutritious snack that your dog will savor thanks to the antioxidants, vitamin A, vitamin C, and fiber. If your dog has problems with sugar, be sure to keep apple consumption to a minimum since they do contain lots of natural sugars. Cantaloupe without the seeds or rind is full of cancer-fighting components such as beta-carotene, fiber, potassium, and vitamins A, B-6, and C.
If your dog has digestion problems, try feeding them some pureed pumpkin! On top of the many nutrients found in pumpkin, this food is great for soothing their tummies and keeping their hearts healthy. These sweet, blue gems protect your dog’s body all the way down to each cell since they are full of antioxidants and vitamins. Another appealing feature of blueberries is that there is no prep work involved besides rinsing them off! If your dog loves hanging outside during the summer, surprise them with some fresh watermelon. Its high water content will help keep them hydrated. The potassium, fiber, and vitamins A, B-6, and C will also keep your dog’s skin healthy and promote overall wellness. Just be sure to remove the rind! Dogs can easily get spoiled and expect more variety than the 8 fruits and vegetables listed above. – Always wash and inspect your fruits and vegetables thoroughly. – Try to buy organic if possible. For more information about which foods are worth the investment and which foods you can get away with, read Dr. Axe’s dirty dozen list for 2018. – Keep an eye out for any product recalls at your local grocery store. Fruits and vegetables can sometimes get contaminated and you definitely don’t want to be sick or dealing with a sick dog! – Try checking out your local farmers market. Lots of markets allow well-behaved dogs on leashes. Farmers markets usually offer cheap, organic fruits and vegetables and it’s a great chance to bond with your dog in some sunshine. Who doesn’t love a good smoothie? Dogs enjoy them, too! A sweet twist to get you and your dog through the hot summer is to freeze your smoothies. You can make larger popsicles for yourself with a mold and smaller treats for your dog with an ice cube tray. All you have to do is blend your favorite combination of fruits and vegetables that are also safe for your dog to enjoy then pop the molds into the freezer. Keep them on hand for hot days when you could use a tasty cool-down. Your dog will love being occupied by licking and chomping on the snack! Preparing homemade food for your dog is a great way to ensure that they’re getting all the nutrients they need to stay healthy. For more information about the benefits of cooking for your dog, check out WebMD‘s article on homemade dog food. For a simple and nutritious treat you and your pet can enjoy, check out Gone to the Snow Dog’s strawberry and banana smoothie recipe. Not only will you get the exact measurements for the recipe, but you can also fawn over her gorgeous huskies who are waiting excitedly for their treat when they see her take the blender out! The way they continue to lick the bowls clean long after the food is gone is a testament to how much your dog will enjoy the fresh fruit blend. Hopefully, all of your questions are answered and you can feel more at ease about feeding your dogs fresh fruits and vegetables. Now that you know exactly which foods to avoid and which are the best for their health, don’t hesitate to start sharing your produce! On top of all of the nutrients your dog is getting, most of these foods are also low in calories, which means you can feed them to your dog without any guilt that you could be causing an unhealthy weight gain. Here’s to an enjoyable summer full of healthy snacking and happy stomachs! To Eat or Not to Eat? Should You Give Your Dog Tomatoes? Dogs and Pickles: Is There a Problem Here? Is Ice Cream a Safe Treat for your Pet this Summer?